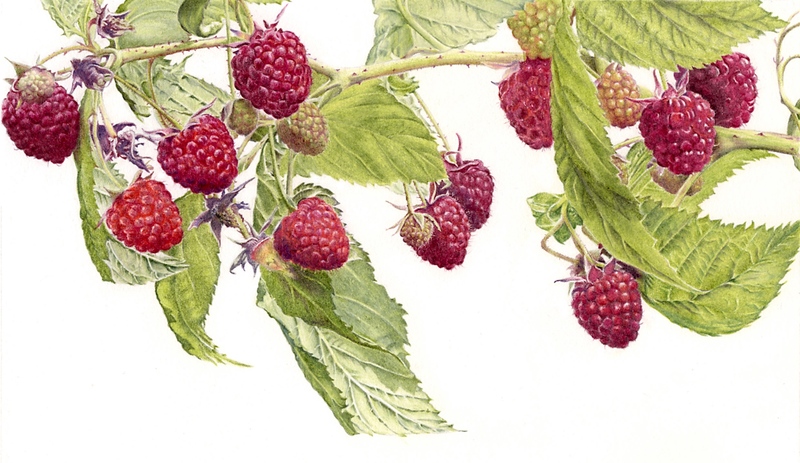 An opportunity to come and learn techniques required to produce a stunning piece of artwork of your own using simply coloured pencils under the expert guidance of Artist/illustrator Janie Pirie. The world of coloured pencils is growing in popularity because the quality of the pencils, and the artists who use them, has reached an incredibly high standard. Janie Pirie is an immensely talented illustrator and this is the first of number of workshops she will be offering the studio. The second is ‘Illuminated Letters’ in March 2020. If you are a beginner you will be amazed, if you are already familiar with coloured pencils then this will be a day to improve your skills. Autumnal fruits or vegetables offer the artist a chance to draw and colour a subject that will ‘behave’. Unlike flowers that open and close depending on the amount of sunlight, a piece of fruit or a vegetable will remain ‘static’ all day making it so much easier to draw and colour. The choice of fruit will be yours but as some subjects are difficult it is best to choose something fairly simple so it can be completed in one day. Janie Pirie studied fine art at Northampton and Colchester Schools of Art. 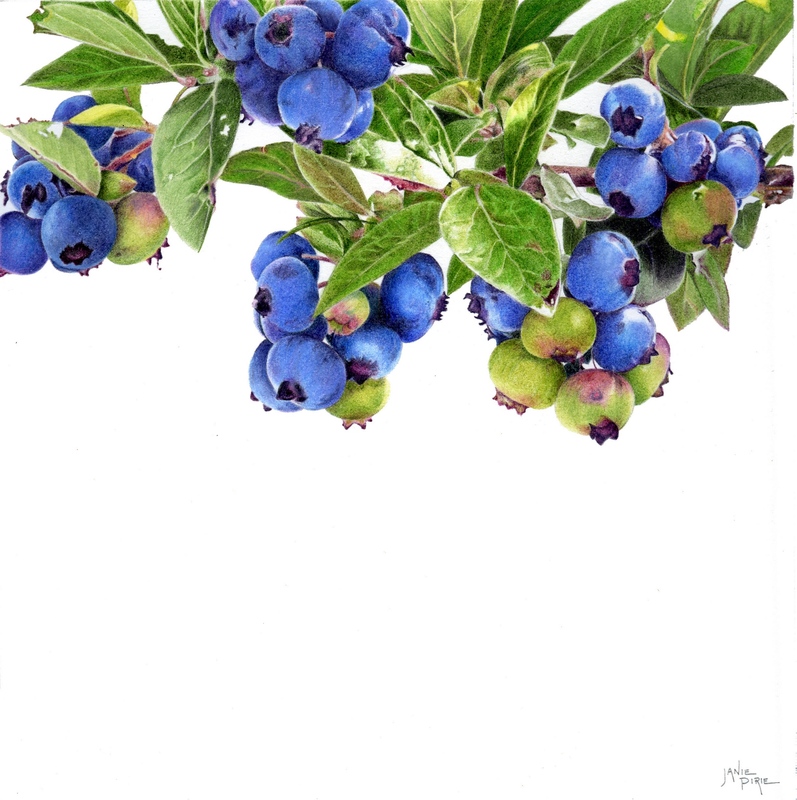 Her botanical work has earned her two Royal Horticultural Society Gold Medals together with Certificates of Botanical Merit from the Society of Botanical Artists and has been recognised, and indeed purchased by The Hunt Institute for Botanical Documentation in Pittsburgh, Pennsylvania. Her meticulous and beautifully detailed work shows the depth of skill she has with the coloured pencil and close scrutiny will only serve to confirm that it can take more than 150 hours to produce some of her pieces. When teaching Janie takes each student through every process necessary to achieve the very best with coloured pencils. Starting with observation, then composition, the drawing and then building up layers of colour to create a rich and gloriously coloured picture. Before each step Janie demonstrates so that students know exactly what they are being asked to do. Group and individual demonstrations are also given during her workshops. Janie’s aim is to show how exciting the coloured pencil can be and for each student to create something they are proud of. But most of all – that the journey is both enjoyable and good fun. Janie is currently working on a book of roses, due for publication in October this year. There will be up to 40 illustrations in the linen-bound, hard-backed, 12in sq. book and only 1,000 will be printed. This will be a collectors item.